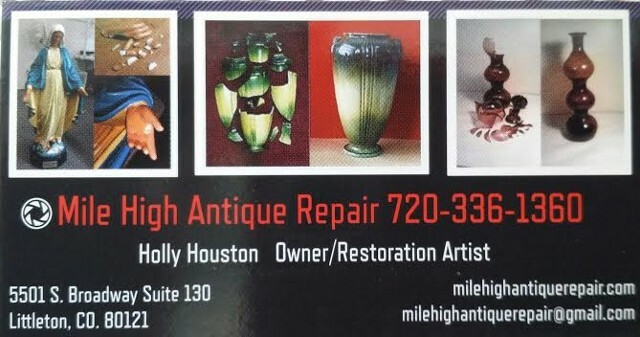 Invisible Repair, Antique Crystal/Glass/Porcelain/China/Complete & Partial Repairs, Denver, CO & Nationwide. Learn "The ART OF RESTORING"
your own collectables or start a new career! Your antiques mean a lot to you. They remind you of simpler times, serve as mementos of your loved ones, and add personality and charm to your surroundings. The last thing you want is to lose your precious antiques due to careless accidents or long-term wear and tear. Luckily, the team at Invisible Repair is here to make sure your antiques stay in good condition throughout the years. Contact us in Denver, Colorado for professional antique repairs and china restoration services. We offer china repair, glass repair, crystal repair,and porcelain repair. Contact us in Littleton, Colorado for china, porcelain, and ceramic repair. leave your precious collectables looking as good as new. Antique Glass Resurfacing, Crystal/Glass/Porcelain/China/Complete & Partial Repairs, Denver, CO & Nationwide.